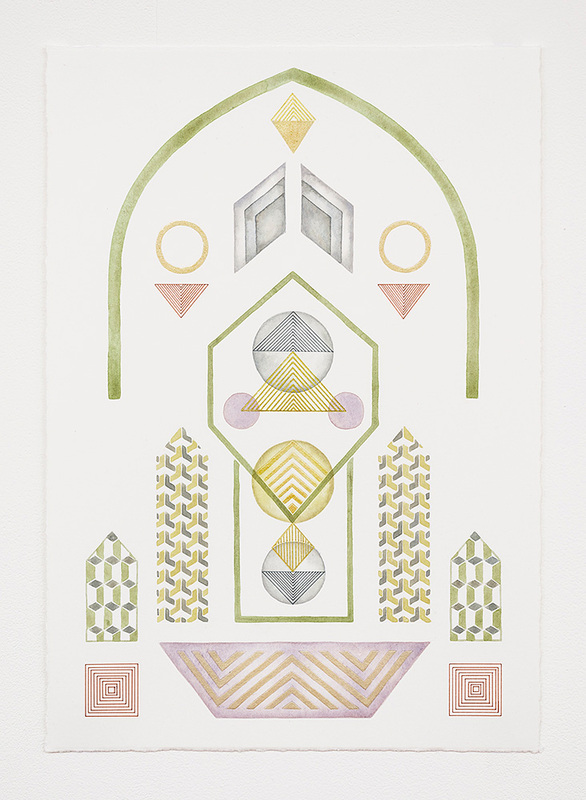 Yuria Okamura’s abstract drawing practice brings together and reinterprets various idealities from across cultures and histories. 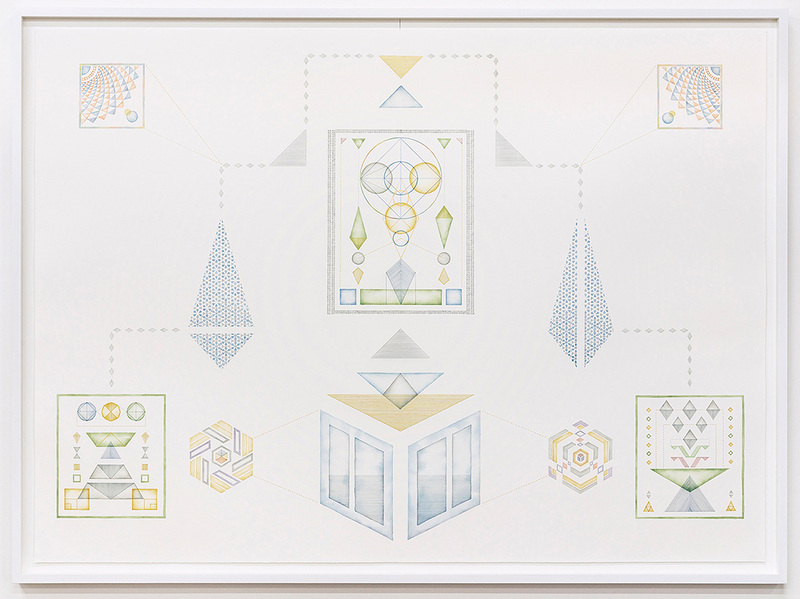 Through mapping, reconfiguring and connecting diverse geometric patterns and symbols that reference esoteric symbolism, occult diagrams, religious architecture and decoration, and the history of abstract painting, Yuria examines geometry’s universal qualities and utopian implications: ideals concerned with order, balance, and harmony. 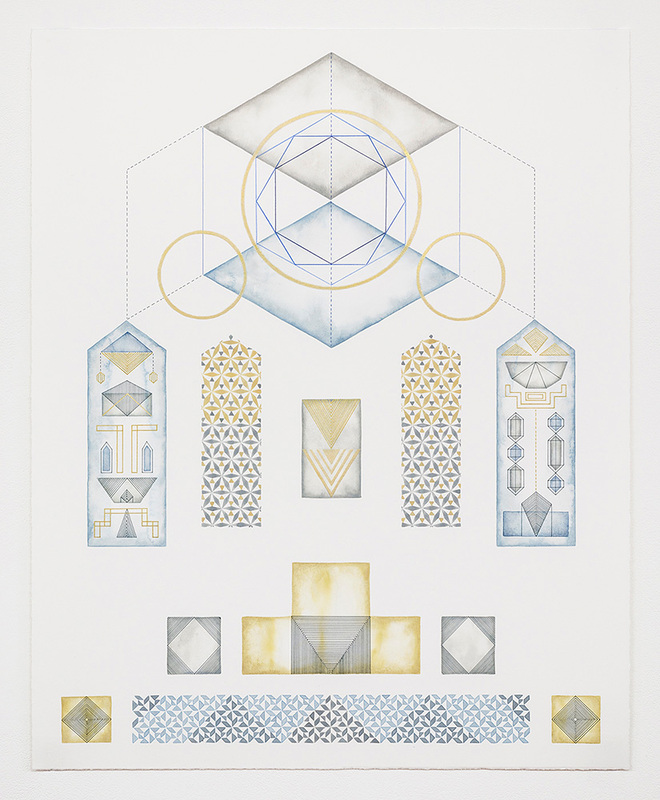 Using architecture and gardens as unifying visual metaphors and motifs, her work explores drawing’s potential to chart open-ended contemplative spaces for reimagining utopian visions. 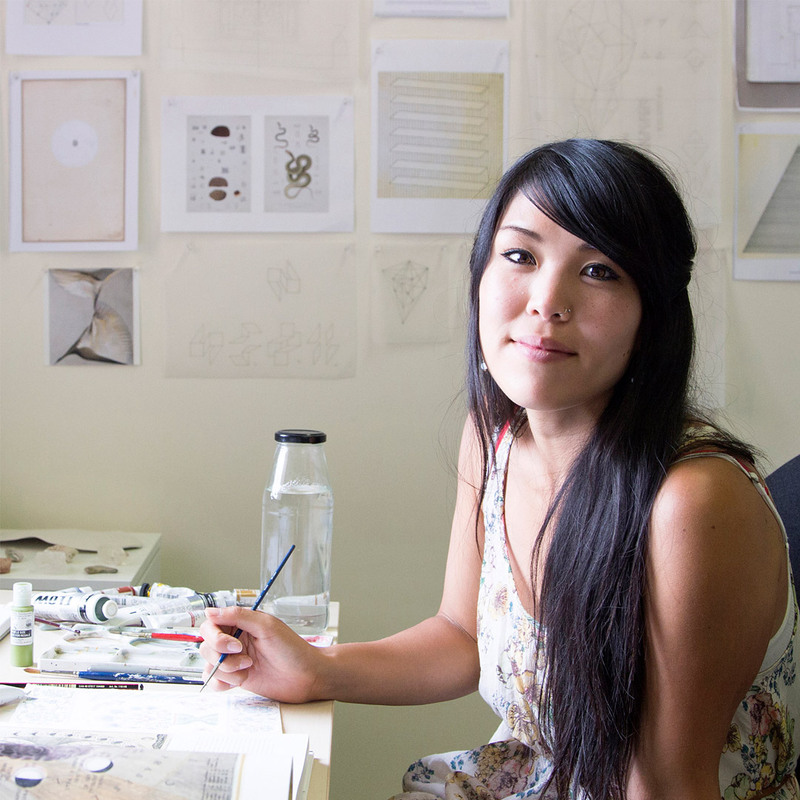 Yuria is a Melbourne-based artist. She has completed Master of Fine Arts (Research) at the Victorian College of the Arts, the University of Melbourne in 2015, and Bachelor of Fine Arts (Honours) in 2010 at RMIT University. In 2016, Yuria was selected for Abbotsford Convent Studio Start-up Residency and Bayside City Council Residency. 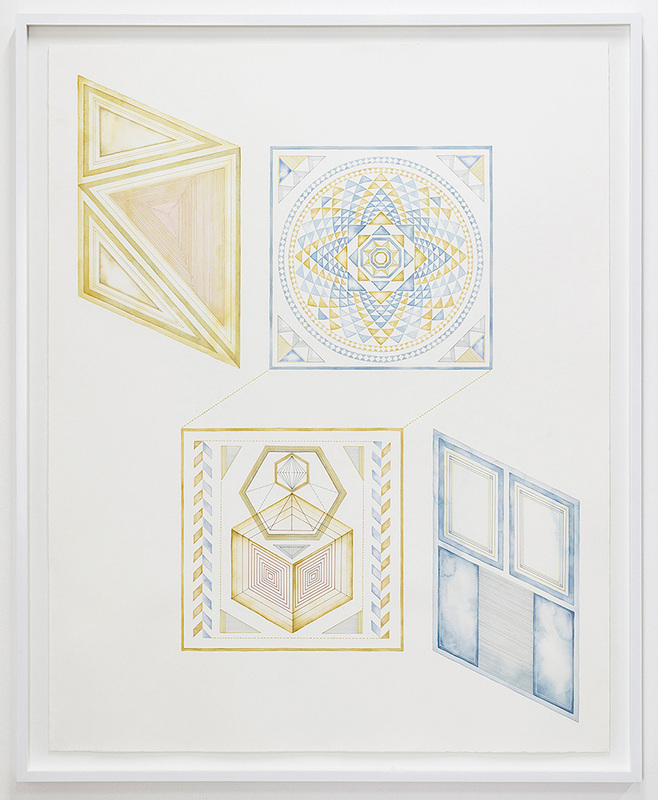 She has received a number of awards and scholarships, including Stuart Black Memorial Travelling Scholarship, Ursula Hoff Institute Drawing Award, Lloyd Rees Memorial Youth Art Award, RMIT Honours Travelling Endowment Scholarship, RMIT Siemens Fine Art Scholarship, and Facetnate Visual Art Grant. Yuria has been showing her work in solo and group exhibitions both nationally and internationally, including Tributary Projects(Canberra), C3 Contemporary Art Space(Melbourne), Anna Pappas Gallery(Melbourne), Five Walls Projects(Melbourne), Rubicon ARI (Melbourne), Kunstraum Tapir (Berlin, Germany), Langford 120 (Melbourne), Seventh Gallery (Melbourne), Japan Foundation Gallery (Sydney), and Mølla På Grim (Kristiansand, Norway).